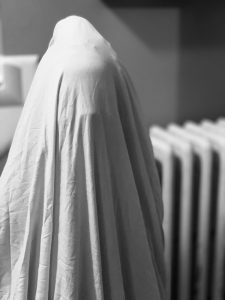 Have you heard of workplace ghosting? The new phenomenon where employees will quit a job… or just not show up on the first day of work, unexplained… without notice? “Ghosting” may be a growing trend due to the non-confrontational society we’ve become–it really is getting harder to have face-to-face business interaction when so much of what we do takes place over email, text, and Twitter. In the past, employees would’ve never quit by simply not showing up. But now, it’s becoming more and more common as people simply don’t know how to have professional business interactions. It’s simple, but valuable information to help set our students up for success–and stand out in the job market to boot. No “work-place ghosting” on our watch! This week is our first Communications 101 workshop in 2019. If you are a client of College Liftoff, don’t let your teen miss this workshop! And if you’re not a client, but have questions or want more information, drop us a line!